A general tonic for poultry, ducks, pigeons, game, aviary and caged birds. 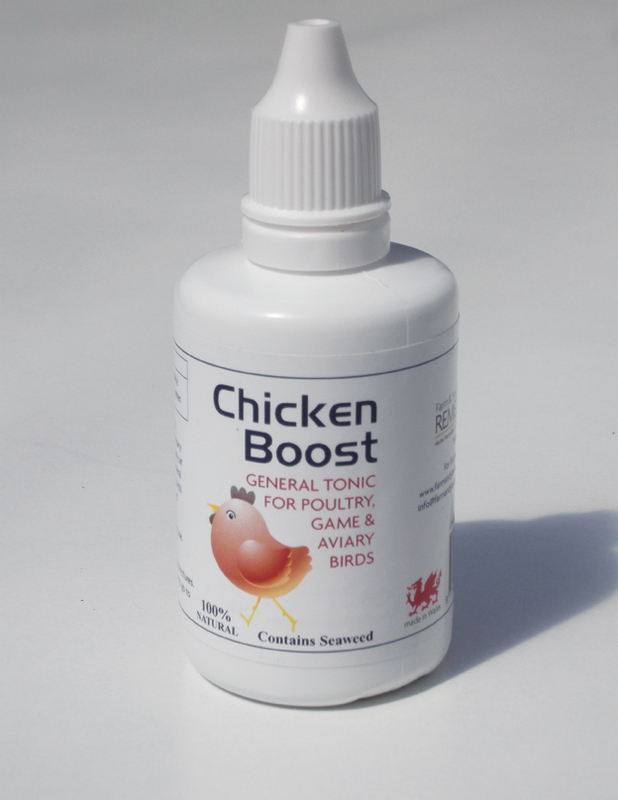 Will help birds get over red mite and moulting. Just add drops to water feeder. Below are some recent questions we've received regarding Farm & Yard Remedies Chicken Boost Red Mite, including answers from our team. My chicken has a blocked nose. Would this help her get rid of this? She has really heavy breathing and I can tell she is uncomfortable with having a blocked nose. I do not think this product will help. Usually a blocked nose in a chicken means there is a large physical lump in the way, not just swelling and mucus which happens in people. The cause in a chicken is more likely to be an abscess or a tumour. I think it would be best to take this bird to your vet.